She is a single mom who started out as a child actress appearing in several TV programs and commercials. And now she the author of seven Novels. Listen to her talk about herself, her writing and her son. Don't miss this one...ITS A GOOD ONE! Tell us about your childhood, what was it like? Before or after your baby sister was born? ...I am not sure if that was before or after my sister came along. Our family moved to Toronto Ontario right before I was about to start Kindergarten. Most of my early childhood memories start there. I went to a French school because my family is French. I learned how to speak English mostly by playing with my next-door neighbor Alison, who did not speak a word of French. We used to play make-belief all the time, and I once told my mother that I had changed my name to Meagan during a My Little Pony phase. I would not respond to my own name. I also used to pretend that I was Rainbow Bright. I would go to school with a star shaped sticker beside one of my eyes every day. I took regular swimming lessons, some gymnastics classes and ballet. We ended up moving to Ottawa a few days before a production of The Nut Cracker so I was not able to be in the show. I remember being really upset about that and deciding not to take ballet again because of it, even if I had passed my class with honors. Anyways, soon after the move I became friends with my neighbor Sarah and we have been best friends ever since. We used to do a lot of crafts together and organized a fun club one summer. Every winter we would build a snow fort in the front yard and try to convince our parents to let us sleep in it. They never said yes. But, they did let us build a kind of indoor tent by using a table, some chairs, and a long blanket. We had sleepovers and slept inside our tent. We also played Barbies a lot. My sister and I would invent stories before playing and Sarah, among others, thought we were weird. Karyne and I would name our games for future reference. When I got too old to want to play dolls, my sister would bribe me by letting me chose what game-story I wanted if I played with her. We had fun recording ourselves reading stories with sound effects and even started writing a script once. We were pretty creative. Wow Chantall, those are profound memories you've got. Now let me ask have you ever lived out of Canada? No, but I traveled a lot. My first big trip outside of Canada was to Cuba. My in laws at the time took us (myself, my son and his father) as a Christmas gift. I visited my best friend in London, about a year after I became a single parent. The year after I took my son to Disney in Florida. We have traveled to the Caribbean and several European countries since. Okay. Let's turn to writing. Did you always know you’d be a writer? If not when did you know that you had it in you? LOL! I am still getting used to people calling me a writer. I actually used to write a lot as a child and would make books my stapling pieces of paper together. I tried writing novels when I was a teenager but never finished them. I never really thought about publishing anything until a friend of mine told me I should. I continued as a hobby. I am currently in the process of publishing short stories in The Suburban`s Online Magazine. From what you've already told us, you started out as a child actress, what drew you into acting? I originally took acting classes to overcome my shyness and ended up loving it so much that I continued performing in amateur productions, joined a Youth Run Theatre company and then moved on to trying camera acting for fun. I was an extra in a few movies, TV shows and commercials, but realized that I MUCH preferred the stage. And did you encounter any challenges in the acting field? It is a hard field to get into in general. Does your past experience in acting help you with your writing today? Yes because I have to put myself into the shoes of my characters to be able to portray them properly. 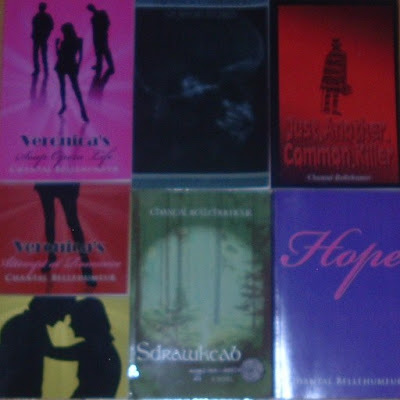 Since I was a child, but I published my fist novel in 2009. Yes. A short story called A Father's Promise, which should be published in the Father's Day issue of The Suburban's Online Magazine. A Mother's Love will be published in the Mother's Day issue. People can view the stories by going to www.thesuburban.com and clicking on the magazine tab. Now that you've mentioned it, please tell us about your work for the online magazine? The Suburban is actually a community newspaper and they have an online magazine as an addition. I recently started working for the newspaper as a sales assistant and word got out that I published some novels. My manager read my Veronica’s Soap Opera Life in one sitting and told me she loved it. 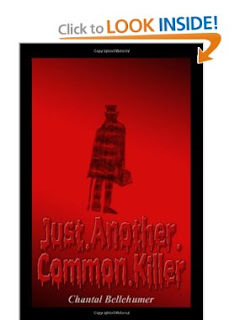 My boss ended up reading Just.Another.Common.Killer and now sees me in a whole new different way. She found that I was a very good writer and encouraged me to continue. The Suburban does not usually publish fiction, but she told me they could put my short stories in the magazine. Having started out in acting…do you try to market your books to movie producers? I looked into it once, but it is complicated. You mentioned your son several times before.Tell us about your son? Aidan is the best thing that had ever happened to me. He is a great kid who brightens up my days and makes me smile. He is a well-behaved boy who does well in school and takes care of me the best way he can when I am sick . I was diagnosed with Colitis 31/2 years ago and was hospitalized a couple of times. He is very artistic like me (and his father). He actually did the cover for my horror novel Just.Another.Common.Killer, although I won’t let him read the book just yet! How do you juggle mommying, work and being a single mom? I sometimes wonder that myself. Lol! Fair enough. Tell us about your latest book and when it was released? I wrote the fantasy novel Sdrawkcab for my son, who was eleven at the time. We kind of worked on the story together actually. It started off with me waking up from a weird dream and needing to write it down. I ended up coming up with a basic outline for a novel. Every time I would finish writing the draft of a chapter I would read it to my son and he would give me his opinion, from a child’s perspective. The book was released in 2012. Son turned critique! You two must really fit well. So do you encourage your son to write? Of course, why was I even asking that! Now, what type of genre do you like and why? I usually like to read horror-mystery-suspense, although I will sometimes pick up a girly book. I write a bit of everything, but horror is more me. That is what people who know me well expect me to write. I am a Halloween freak! Chantal, do indie authors stand a chance in this competitive writing industry? It is very hard because we have to market our books ourselves. I find that I am spending a lot of time doing promo stuff and marketing even myself as an author more than writing. But, it is fun and that is why I do it. I was never in it for the money. And so when its not Halloween, how do you spend your free time, what do you do for fun? Aside from writing, I love watching movies. I read when I find the time. I like to go sit on a park bench with a good book when it is nice out, but I often start to daydream. I enjoy the sun and need to be outside during the summer. I love walking in the rain, especially during a thunderstorm. My Octobers are spent morphing my apartment into a haunted home. During the winter I would love to hibernate. I like sitting in front of the TV under a warm blanket and drink something hot. I try to spend as much quality time with my son as I can. We try to do fun activities together. I wish he would play more board games because I like them, but he prefers his video games. Sometimes I play Wii games with him. I am not very good at most of his games though. I like my dance games better. Well answered. Whose your favorite actor, actress, book and writer? There are so many talented people out there! My favorite actors are Johnny Depp and Colm Feore. I know this is not part of your question, but my favorite director is Tim Burton. As for actresses, it is hard to pick. The one that comes to mind right away is Helena Bonham Carter. As for the books - Steven King. What a pleasure it has been hosting you Chantall. We wish you all the best and hope to talk to you again in the future. Thank YOU too for hosting me. Great interview, Felix! 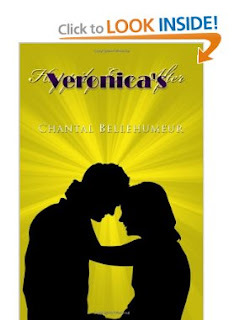 I especially like her incorporation of her son's cover art-great Mommy/son involvement. Thanks, I too liked the mom/son combination! They are a great team those two!